Purchase an amazing Starcraft Marine Pontoon from Ed's Marine. Your lakes area marine dealer. Fantastic docks & lifts available at Ed’s Marine. Ed's Marine is a marine dealer located near Lake Park, Minnesota near Cormorant Village, Minnesota. 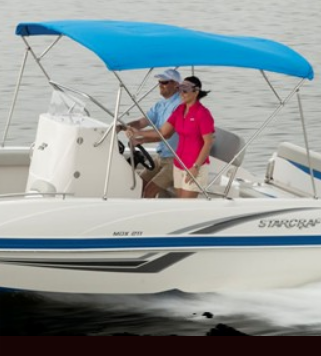 Ed's Marine is a full service dealer of Starcraft Marine pontoons, Daka Docks, Yamaha outboards and Mercury outboards. Located in the heart of the lakes country, Ed's Marine is just fifteen minutes west of Detroit Lakes, Minnesota and thirty minutes east of Fargo, North Dakota. Take advantage of great prices and selections on these used boats, pontoons & even more.